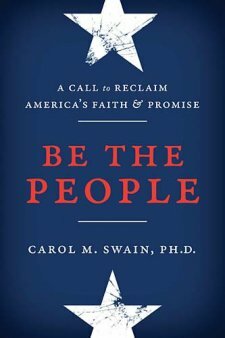 In Be The People, Swain discusses current politically charged topics such as religious freedoms and our country’s founding principles, feminism, abortion, defining family and marriage, immigration, and race issues. Swain, an obviously conservative Christian herself, unapologetically tackles these topics from a boldly Biblical viewpoint. Though solutions are proposed relating to the current problems being discussed, a large portion of the book is composed of the bemoaning of the wrongs within our country’s political system. For this reader, the over-lamenting became somewhat repelling. As Swain relates a few personal stories, she builds her own credibility while giving the reader a glimpse into into her world. Though the writing style of Be The People is a bit too stiff and academic for my tastes, I managed to stick with it by skimming through the statistics to get a full picture while staying with the read. Recommend? Yes. Be The People is a good read and particularly useful as reference material.